The NFL Players Association (NFLPA) on Tuesday said it was “disappointed” by President Trump’s decision to cancel an event celebrating the Philadelphia Eagles’ Super Bowl win. “Our union is disappointed in the decision by the White House to disinvite players from the Philadelphia Eagles from being recognized and celebrated by all Americans for their accomplishment,” the group said. 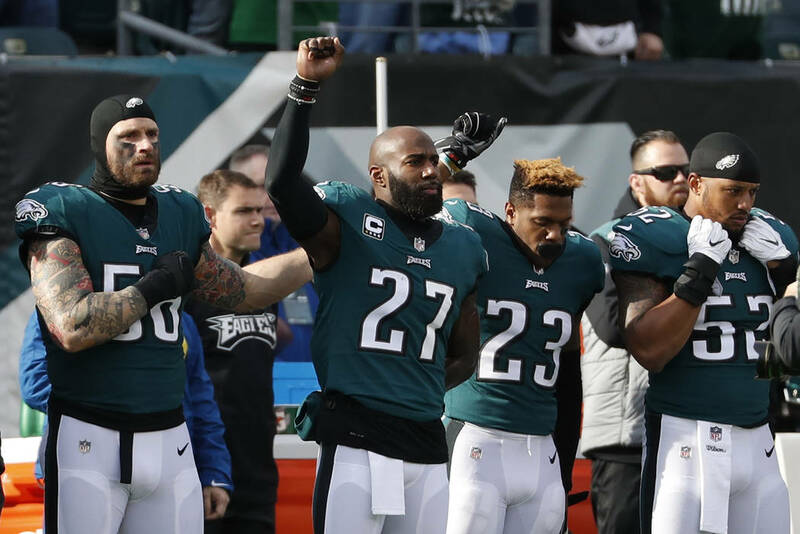 The White House, in a surprise announcement Monday, decided to cancel the Eagles visit saying the team was “unable” to attend and citing players’ disagreements with Trump over protests during the national anthem. While no Eagles players knelt during the national anthem last season, some vocally supported the protests. “NFL players love their country, support our troops, give back to their communities and strive to make America a better place,” the NFLPA said in its statement. The union has expressed its support for players’ rights to peacefully protest, including by kneeling during the anthem. The group has criticized league owners’ recent decision to implement a policy banning the protests. During the past season, Trump repeatedly called on the NFL to bar protests during the national anthem. The decision to cancel the Eagles event drew criticism from Democrats, in particular Pennsylvania lawmakers, who invited the Eagles to the Capitol instead. This post originally appeared on The Hill. Copyright 2018.